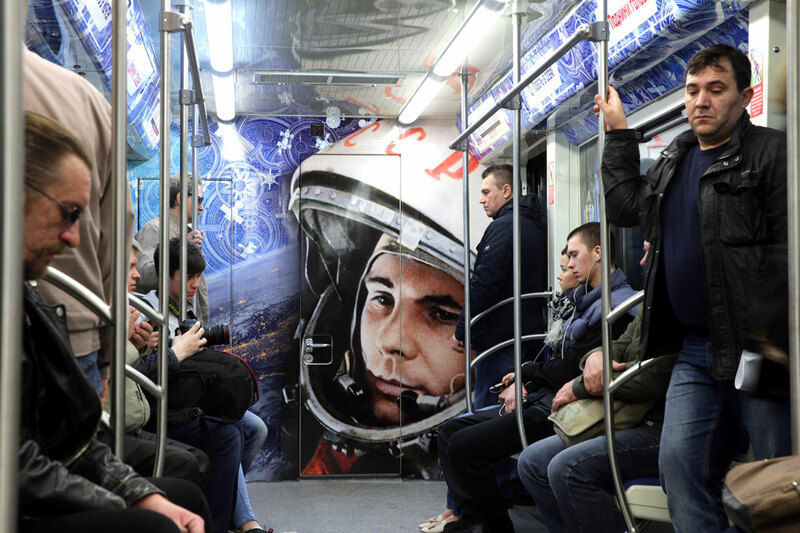 Commuters in a space themed train at Polezhayevskaya station of the Moscow Metro. The train was launched to mark the 55th anniversary of the first manned space flight by cosmonaut Yuri Gagarin. On April 12, 1961, Gagarin became the first man in space when he orbited the Earth aboard Vostok 1.